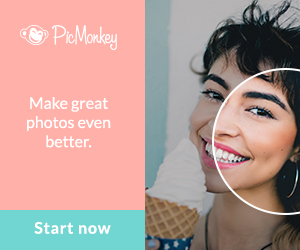 Ready to share your creative posts, diy’s, decor & recipes! It’s party time again . I can’t wait to see what you have been blogging about & crafting up! Welcome new bloggers & hello to all you friends. Have you been working on holiday projects? I am finally getting to my holiday must do and share list. I have more coming but, today is all about your projects, blog tips, holiday decor, diys and what ever you feel like sharing! If you missed it here’s last week’s party with lots more ideas! Thanks to Kath of Kathastrophal you can crochet this pretty broach. Make one as a holiday gift. She has a complete diy supply list and step by step tutorial. This will have you crocheting up this stylish yet, simple broach in no time! You’ll find a bit of diy, fashion & recipes on her blog. You can see them lit up on her blog with led light, so bright & pretty! You may have seen these in vintage shops. Marcy has seen them at home depot for $15 Each! But, like me wasn’t going to pay that price. 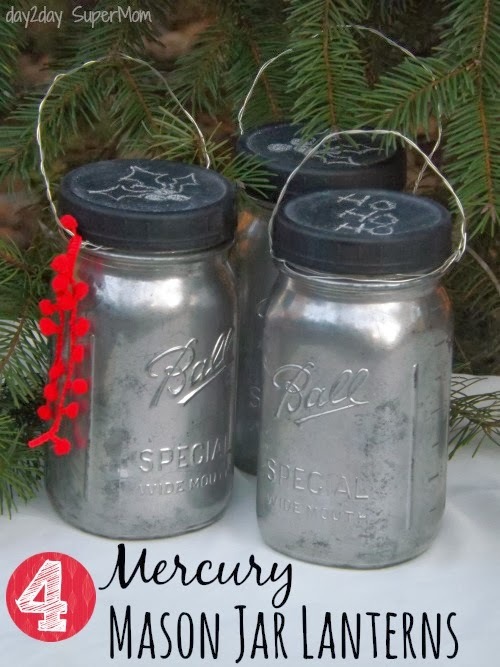 Thanks to Marcy of Day2DaySuperMom for this festive Mercury glass Mason Jar Lantern Diy! This kind of project can go the entire winter season with a little modification. This is now on my holiday must do list! Want it on yours? This would be a fun projects to do with the kids! 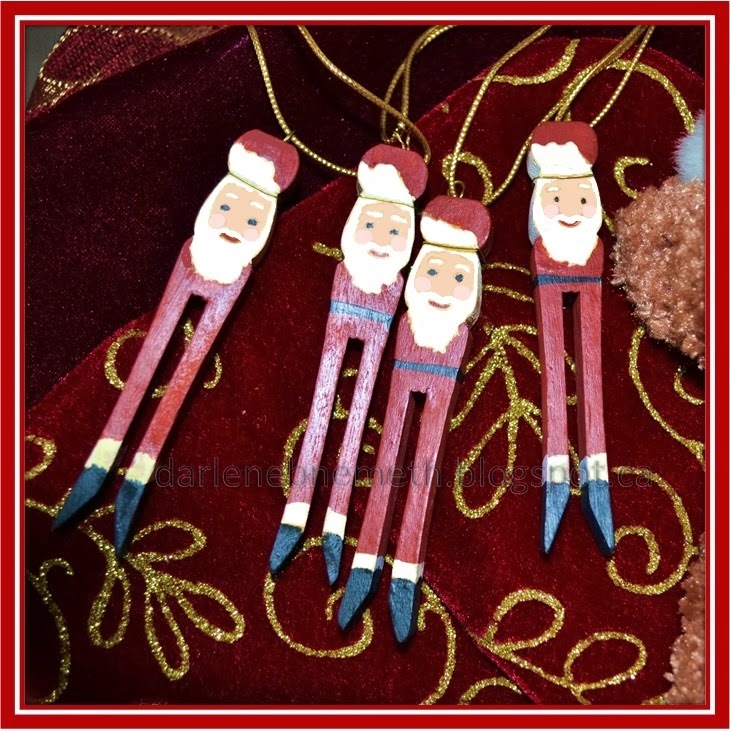 Santa Ornaments made with wood clothes pins! Thanks to Darlene over at MyLittleShopofTreasures on blogspot for sharing this Santa Oranment diy! & as always I was sharing more entries by pinning, tweeting. 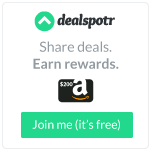 When you link up you are allowing me to share your posts here on Dear Creatives and on social media sites. Thanks for sharing your work! Hi Winnie, You bet. Going to try to drop by after taking my daughter to school. You have a great weekend too. Hi Crystal, Your welcome & thanks for dropping in. Wishing you the same. Thank you for hosting Theresa and hope you enjoy your weekend! Hi Heather, Thanks for coming & enjoy yours too. Lisa@hooplapalooza recently posted & would love you to read..Cookie Exchange Link Party! Thanks so much for another great party Theresa! Have a wonderful weekend! Hi Mindi, Great to see you! Thanks for coming and wishing you a great weekend. Hi Linda, Thanks for dropping by for the party. Wishing you the same! Thank you so much for featuring my project, I feel so honoured and proud! Your welcome Katha! Glad you shared your tutorial. I am sure many will love to give it a try. I need to relearn to crochet! Thanks so much for the party! And for featuring my Mason Jar Lanterns! Whoo Hoo! =) Merry Christmas Theresa! Hi Marcy, Your welcome I hope to get some spray paint stat! This is a project Sammie & I can do on her break and still have them done by Christmas. Wishing you the same!